Would you like to increase the performance of your computer or hand-held device? Performing a registry repair is one of the surest ways of ensuring that you are able to achieve this. In this article, you will be in a position to learn some of the tools that you can deploy in finding the best software in this category. Make sure you read through to get a detailed insight on how to repair your registry. 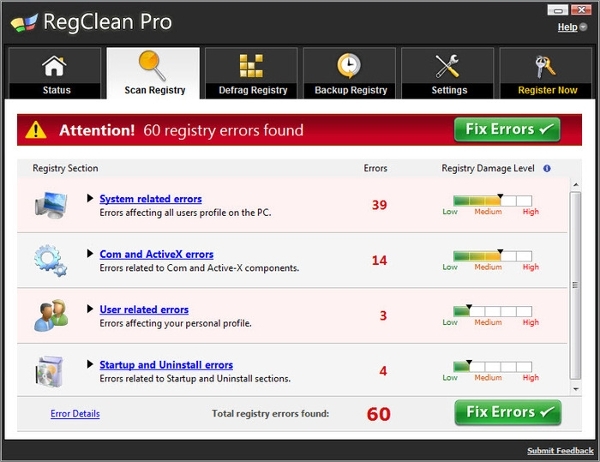 This registry cleaning tool from Systweak will not only remove errors but also do optimization to your Windows operating system. It will, therefore, become guaranteeing a faster system speed, smooth operation, stable systems. The software is for sale and available in both 32 and 64-bit variants for user versions of windows. 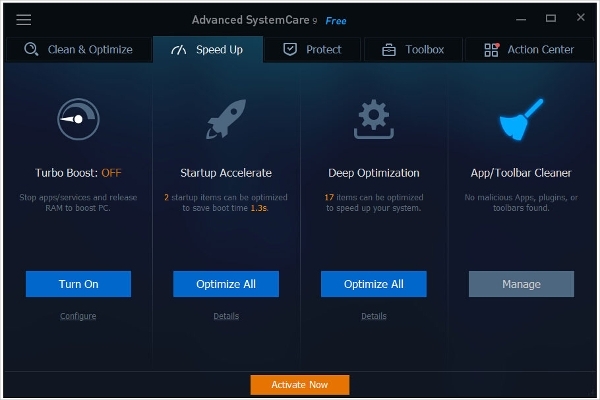 This is the premium version of the Advanced SystemCare, which is available for free. However, with this premium version, there are plenty of added features and promises to improve performance by up to 300% which is really impressive. To be precise, the Pro version has 11 extra features including Real-time Optimization with Active Optimize. On a PC, Windows tends to make devices simple to use, but this comes with some drawbacks such as registry errors or corruption. With this cleaner, you are able to Speed up your PC & internet, fix browser & internet problems, free up disk spaces from the traces left behind after emptying the recycle bin. For the users not in the Windows PC environment, there is still some software that can help repair and protect their registries. The article will also guide on some of the other platforms that is MAC and Android. This will thus enable you to get help no matter your preferred operating system. Though MAC does not need much servicing and tweaking, from time to time, you may realize that your machine has become slow. In this case, one can deploy one of the few tools available for this environment such as Tweak and Tuneup by Systweak. This will assist in tuning up both the RAM and the hard disk. Again falling in the Windows category, this tool will quickly identify and target windows registry issues as well as clean up fragmented data on your registry thus leaving your system more stable. The tool comprehensively detects and displays all the problems in your PC and gives the commands for necessary actions. With the handhelds using Android operating system, the greatest hindrance to speed is the presence of residual files as well as different logs. 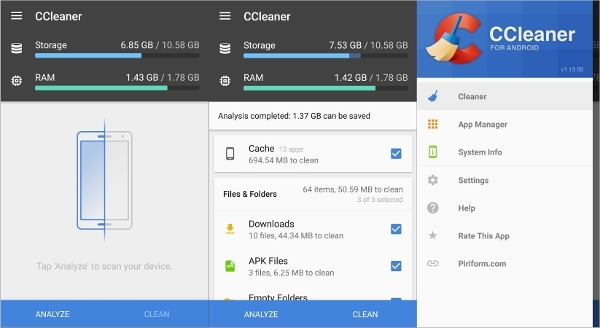 With the CCleaner for Android, you can speed up your phone and remove junk safely and delete call logs and SMS message to create adequate space for the optimum operation of the device. 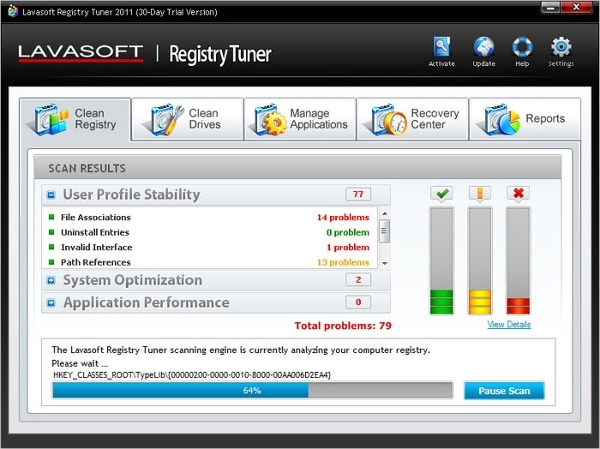 Lavasoft Registry Tuner is a registry repair and tuning tool that promises to keep your PC running like new. 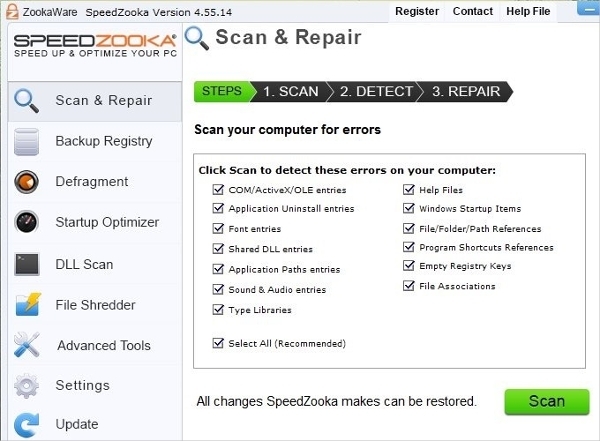 It speeds up the Windows start time, fix your registry, scans and cleans corrupt files from your drives and tune your PC all on a single click of a button. 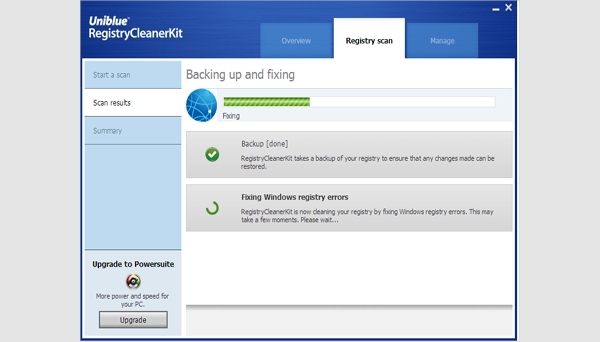 What is Registry Repair Software? To be in a position of getting the complete picture, it would be better first to identify what a computer registry is. Essentially, the registry in this environment refers to a database in the operating system that has the important information about the installed programs, system hardware, and profiles of the users of the PC as well as settings. Now, a registry repair software is a tool that helps corrects any error in this crucial information that in the majority of the cases leads to an unstable PC or reduced speeds. Therefore, no matter the platform you are riding on, you can be sure that there is a registry repair software for your use. It is thus advisable you use one to ensure that your PC is operating at the optimum speeds at all times as well as prevent cases of operating system crashing due to instability.